Qantas and Sydney Airport have commenced trials of facial recognition technology for passengers departing on international flights. The trial will initially focus on four phases the journey – checkin, bag drop, lounge access and boarding the flight, Sydney Airport said in a statement on Thursday. At checkin, the kiosk creates a “token” using sophisticated biometrics – which in this case is the passenger’s face – that is linked to passenger’s travel documents. 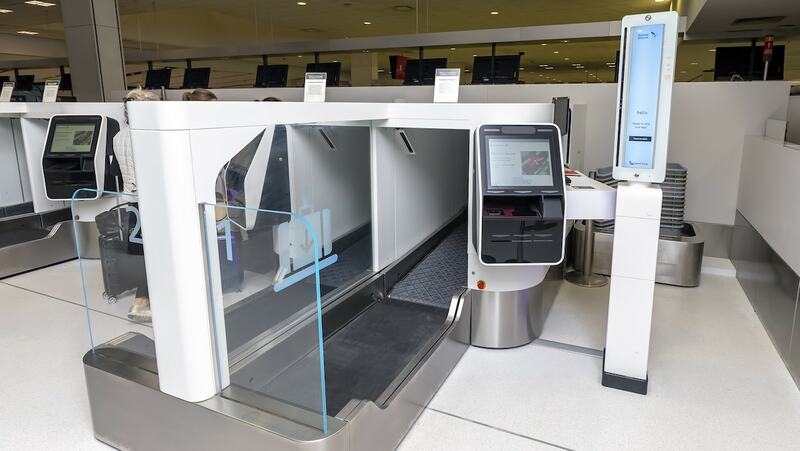 So instead of a boarding pass or passport, facial recognition technology is instead used to verify the passenger using the bag drop facility, accessing the lounge and boarding the flight. Sydney Airport said mobile check-in and automated border processing had been proposed as the next phases for the trial. For now though, the Australian government’s border processing procedures were unchanged. Further, passengers would have to consent to participate in the trial, with “adheres to the strictest privacy standards and complies with all relevant legislation”. Sydney Airport chief executive Geoff Culbert said the trial was part of efforts to make the experience at the airport easier and more convenient for passengers. “In the future, there will be no more juggling passports and bags at check-in and digging through pockets or smartphones to show your boarding pass – your face will be your passport and your boarding pass at every step of the process,” Hudson said. Qantas chief customer officer Vanessa Hudson said the airline was committed to making travel as “attractive, convenient and enjoyable as possible”. 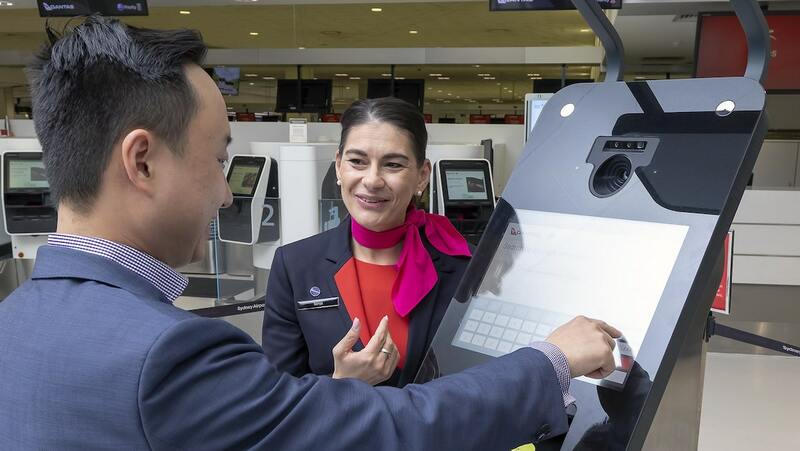 “Qantas customers will not only be able to check in for their flight using the technology, it is also available for our lounge staff who can create a more personalised experience when passengers arrive,” Hudson said. In March 2017, Air New Zealand, Brisbane Airport and SITA commenced an Australia-first trial featuring the use of facial recognition technology. 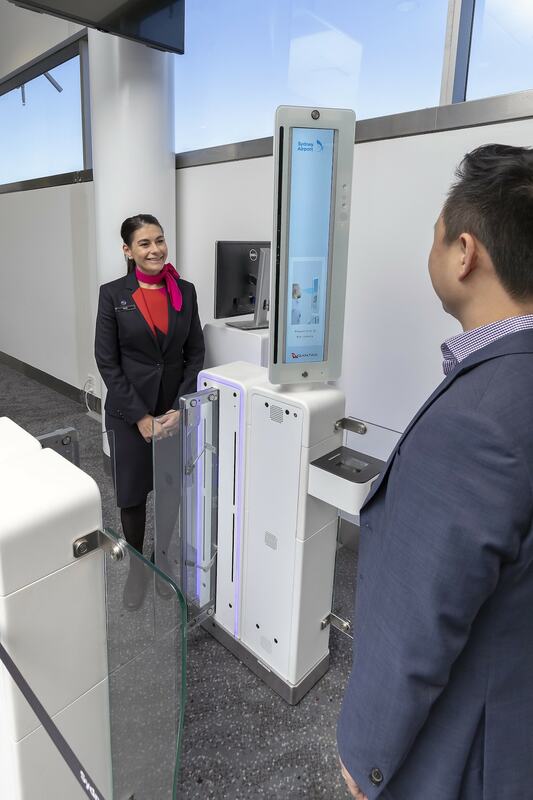 Under the trial, passengers departing Air New Zealand from Brisbane used biometrics at a self-service checkin kiosk and when boarding the aircraft. In 2017, the federal government signed a three-year contract with Vision-Box Australia Pty Ltd worth $22.5 million to rollout facial recognition technology to border processing facilities at the nation’s airports. The contract would “deliver upgraded biometric technology, enabling the Department of Immigration and Border Protection to use biometric data to clear passengers arriving at Australian international airports”, according to a statement from Minister for Immigration and Border Protection Peter Dutton dated July 27 2017. “It will also deliver a new capability that will eventually enable known travellers to self-process through the border without producing their passport, relying wholly on facial recognition technology,” the statement said.